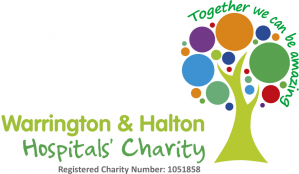 The Nutrition and Dietetic department forms part of the therapy services within the Warrington and Halton Hospitals Trust. The department comprises of a friendly and diverse group of Dietitians, Dietetic Assistants and Clerical Staff who are spread throughout the various sites in our Trust. We work together with the multidisciplinary team to treat adults and children within the inpatient, outpatient and community settings. We provide an evidence based service to our patients to help treat a range of conditions with dietary therapy. Dietitians promote nutritional wellbeing, treat disease and prevent nutrition-related problems. Dietitians complete thorough nutritional assessments and aim to deliver an evidence-based service to enhance recovery as well as advice on various clinical conditions. Dietitians remain up to date through training and continuous professional development to ensure our patients receive safe and effective care. Dietitians are registered with the Health and Care Professionals Council (HCPC) and hold a recognised qualification in Nutrition and Dietetics. Dietetic assistants work in conjunction with Dietitians to assist with nutrition therapy and recovery. Dietetic Assistants practice continuous professional development and regularly attend training to maintain up to date clinical skills. The department is supported by clerical staff who have a wide variety of roles including coordinating appointments and clinics and record keeping. You can contact us via the hospital switchboard on 01925 635911.